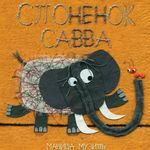 As part of the Stitchings exhibition, this time we are introducing two picture books by Manica K. Musil, translated into Russian language for the first time. 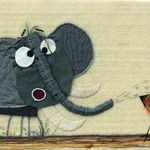 While Stan the Elephant is well known and widely popular among Slovenian children and other audiences, Robbie the Lion is yet to be published in his maker's homeland. Both books have been published internationally, including Chinese, Turkish and many European editions. Both Russian editions will also be available for purchase. 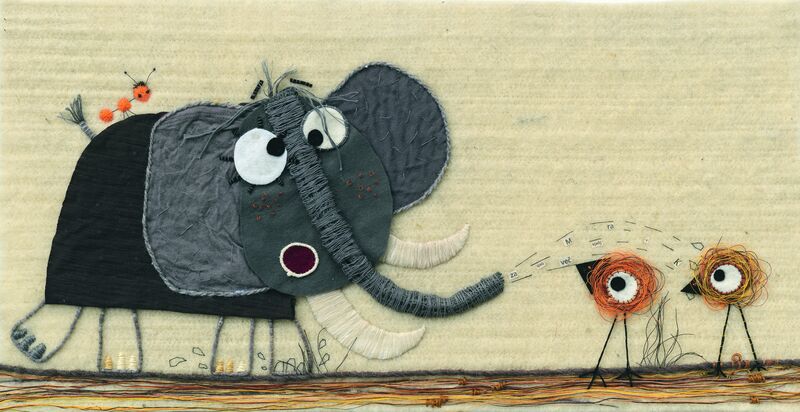 Stan the Elephant – known in Russia as Sava – loves to tell a tale, but there is no one who would listen to him. While desperately seeking for a listener among his animal pals who turn him down one by one quite rudely, he fails to hear the feeble calls of an ant. She is the only one who wants to hear his stories, trying to make him notice her the whole time. Only when Stan gives up and sits in a pile of leaves, all miserable and sad, he finally hears the ant calling to him. Then the elephant, glad to have found his audience at last, and the ant, happy to be noticed, become friends and start sharing stories. 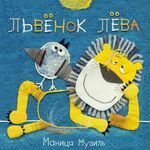 Robbie the Lion – that is, Lyova – is awfully sleepy, but he can never really fall asleep as there is always something bothering him. Finally, he finds a solution - with some help from a little bird. Together they climb to the top of a hill and descend again, until they are tired and fall asleep together. 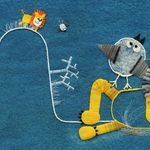 First, we are going to listen to both tales in Russian, and afterwards at the workshop we will design our own favourite picture books. The author herself will be present at the event and on hand for any questions about the voyages of her colourful heroes.